MEET THE 2019 VARSITY TEAM! CONGRATULATIONS TO THE LADY LACROSSE BEARS! 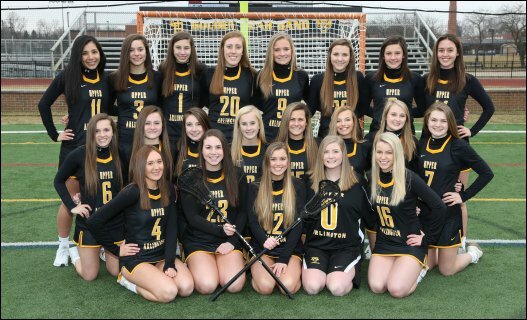 Welcome to the home of the Upper Arlington High School Girls Lacrosse Team. 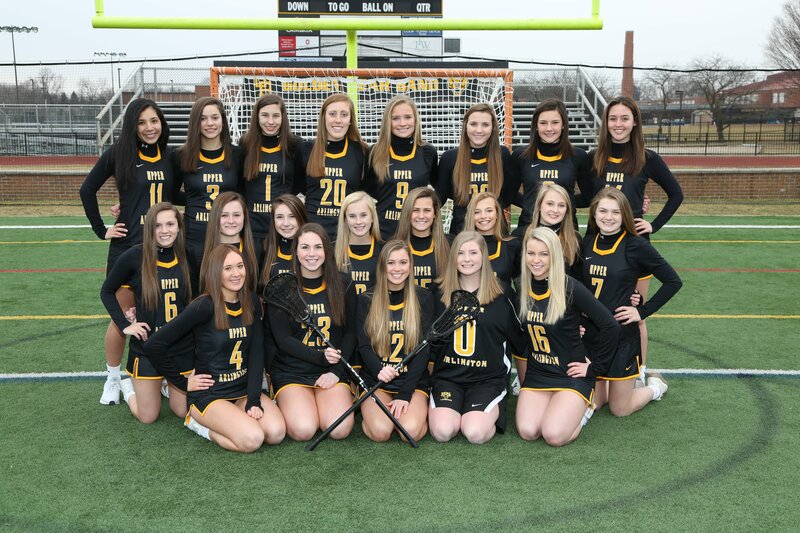 The Upper Arlington High School Girls Lacrosse Program began in 1983 under the sponsorship of UAHS faculty member and Coach Pete Corey. Tom Stout then led the Bears for five seasons. In 1992, Wendy Pinta took the helm of the UA Girls Lacrosse program for the next fifteen years and led them to three state championship titles. In 2008, Lynda McCandlish, a UAHS and Northwestern University graduate, assumed the head coach position. 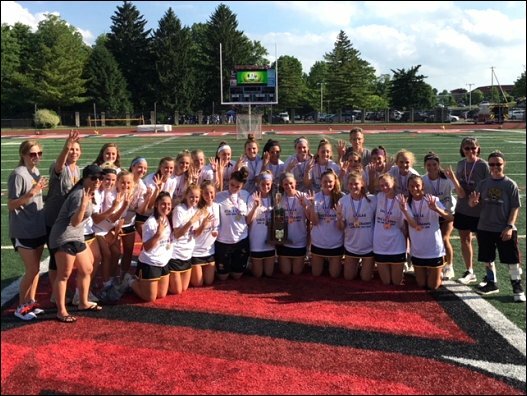 In her first and only season as head coach at Upper Arlington, Coach McCandlish won the state championship. Lynda McCandlish also made Ohio history by winning the state championship as both a UA player (2002) and as a head coach (2008). From 2009-2011, Kim Rocheleau headed the Golden Bears, taking them to the state finals in each of her three years as head coach. In 2012, the Golden Bears saw two of its former coaches return to lead the team. Head Coach Wendy Pinta (1991-2007) returned from a 4-year hiatus to coach youth lacrosse at Hastings Middle School and Associate Head Coach Sue Stimmel (1989-90) returned after a 23-year leave to coach collegiate lacrosse at Denison and The Ohio State University. In their first season as head coaches they returned the Bears to the state finals. In their second year (2013), they led the squad to their first state championship in five years. They again garnered championships in 2015, 2016, and 2017. Returning seven starters and most of the attacking unit, they hope to make another bid in 2018.